Veruca Salt is a selfish character from Charlie and the Chocolate Factory by Roald Dahl. She is a spolied brat and constantly demands things from her rich parents. 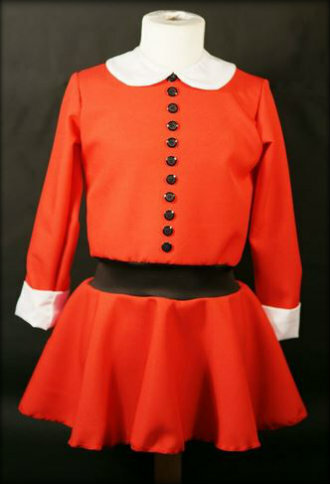 A Veruca Salt costume is quite easy to put together. Wear an expensive looking red or pink dress, white tights and smart shoes. If your costume is inspired by the 1970s film version of Charlie and the Chocolate Factory, you might want to add a golden egg prop. If your Veruca Salt is the one from the original book, or from the 2005 film, you could carry a soft toy squirrel and pretend it is attacking you!